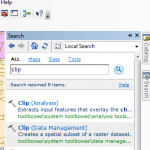 What’s new in ArcGIS 10? Would you like to add aerial photography or a topographic map underneath map layers for visual appeal or context? 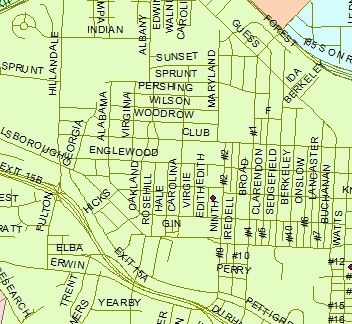 With ArcGIS 10, you can add a basemap to your map project. 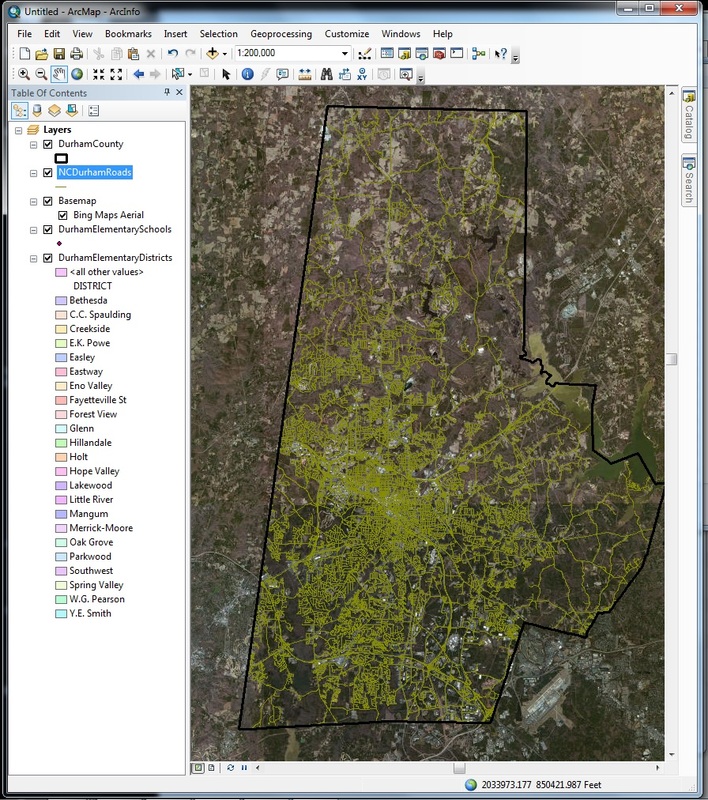 A basemap is a link to an online imagery data source. You must be connected to the Internet in order to see a basemap. Basemaps contain imagery at different levels of detail. When zooming in or out, new imagery will replace old imagery, which provides an approprate level of detail at any zoom level and improves performance by limiting the amount of information to be downloaded and displayed. 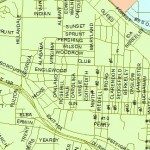 Sharing maps and shapefiles with others can be a pain when a map is composed of many shapefiles and layers. 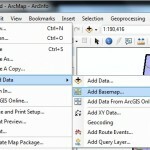 A map package bundles all shapefiles, layers, and map documents into a single file that can be opened by others with ArcGIS 10. 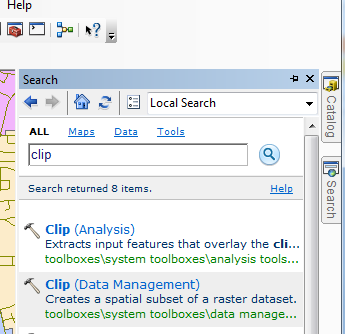 In ArcGIS 10, ArcToolbox tools default to background processing. This allows you to continue to work while the tool processes your data. To disable background processing, navigate to the “Geoprocessing Options…” choice under the Geoprocessing Menu Bar, and uncheck the “Enable” box. Got a tool you want to use but can’t remember what toolbox its in? With the Search feature, you can easily locate what you need. Your search term can be the tool name or a close approximation of what you wish to do. 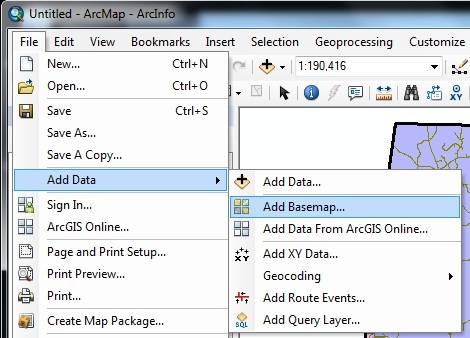 Time series data became easier to use with ArcGIS 10. Version 10 recognizes time series data with the addition of a single time field. For example, suppose you have annual precipitation for US cities. Your data will contain an ID field, a point field, a time field containing the year, and a field containing the precipitation amount. How Do I Label Individual Items? Have you ever wanted to label individudal items on a map, and avoid the cluttered appearance of labels for all features, such as that shown to the right? 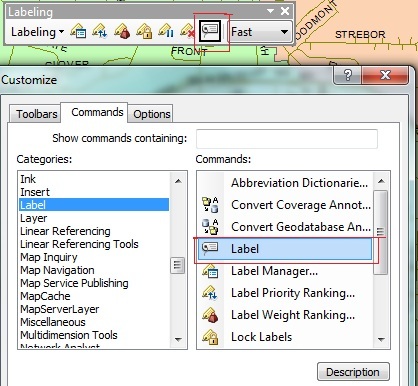 ArcGIS 10 hides the tool that you use to label individual items, but it’s easy to get back. Turn on the “Labeling” toolbar under the Customize Menu Bar. Select the “Commands” tab and select the “Label” category (left panel). 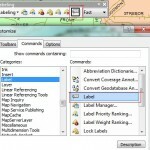 In the right panel, drag the “Label” tool and drop it into any toolbar that you wish.